How to Scrap Car for Cash in NZ? There’s never been a better time to sell your scrap car. Cash for Car NZ gladly give “cash for cars” in New Zealand and pay the highest dollar for your Cars, SUVs, Vans, 4WDs or Trucks. Give us a call today on 0800224000 or complete our online quote form to sell your vehicle. You’ll be glad that you did. The cost to repair and maintain is higher than the vehicle’s actual value. You do not want to go through the hassle of putting up an ad in the newspaper, Trademe or online classified to see if there is anyone that might still be interested in it given its repair concerns. It has been sitting so long in your garage, and you need the space for a new car. What is the Scrap Car Selling Process? There two ways of going about this: the traditional way or the modern way. The traditional way calls for driving around to look for local scrap yard or scrap metal facilities and checking out the local classified ad section for companies that buy scrap cars. Look for ad headings like: “cash for scrap cars, we buy scrap cars, sell my scrap car” etc. An easier and handier way is to use the internet to look for possible buyers of your scrap car. Use Google and type in the search bar “cash for scrap car or scrap my car for cash” for instance, and then you would be able to get a sizable result of dealers in the area that may be willing to buy your vehicle. Most likely that’s how you ended up here now. The process of selling your car to us is pretty simple. All you need to do is give us some basic information about yourself and the car you intend to sell. Provide the year, make, model, body condition, engine condition, signs of exterior or interior damage, etc. We also buy vehicles totalled in a car crash, abandoned, left in your garage for a long time or have experienced some significant flood damage, a broken-down car or any condition. Once we have the necessary information, we will then provide you with a competitive quote. Get Best Cash Offer for your Scrap Car. Call us on 0800224000 or complete online quote form. Some scrap car businesses have a ton of hidden costs. Little fees that add up and make selling your car to them much less profitable. We don’t do that. We don’t have any fees – no towing fees, no administration fees…nothing. We just want to buy your car for the best price with no fuss or no mischief. A particular set of criteria is the basis by which your vehicle’s value is determined. Once you have provided the information we need on the phone, we will simply validate the information once we pick up your car. Once you have accepted the offer, we will schedule an appointment for the prompt removal of your vehicle from your premises. What happens is that we will dispatch a tow truck to pick up the car and more often than not within a few hours of your first call. We then offer you payment on the spot. We pick-up vehicles in any condition. 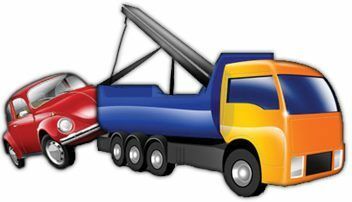 However, you also need to inform us if you think that your scrap car cannot be towed by a conventional tow truck and requires a hi-ab or crane truck instead to do the job. If you have multiple cars that need auto removal, that is not a problem either. All you need to do is let us know how many you have and want to be removed so that we can include their value on the quote we will offer you. Having the title is preferred but not a requirement. Other proofs of ownership are accepted. Just ask your friendly scrap car operator about other documents we accept. They can help you with this at the time of the quote by phone. Before the removal of the vehicle from your premises, do go over its contents and remove anything of value left inside. Search through the glove compartment, the floor, under the seats and in the trunk and any other area where you may have left something of value. It is not unusual that you could find some lost items in there including cash or CDs. If the car is registered, you need to contact the insurance company to cancel the policy. Do I Need to Be Physically Present When it is Towed? The owner is required to be at the pickup to provide proof of ownership. A valid driver’s license or photo ID must be shown along with the paperwork. The only exception is if you have the title in your name. In that case, you may authorise someone to do the transaction on your behalf through a signed permission note and a copy of your ID. Each year millions of cars are sold in New Zealand. These cars ply our roads and highways until such time they get old, broken, replaced with a new model, resold or sometimes abandoned. What happens to these cars after they have fulfilled their purpose? They simply become scrap cars. Consequently, if a car has been totalled and the cost to repair it is more than 70% of the value of the vehicle, what the insurance companies usually do is term it a “scrap car.” Now, not many people know that there is actual money to be made from these old and broken down vehicles. You can get cash for scrap cars if you know how to go about it properly. The car is the most heavily recycled consumer product in New Zealand. 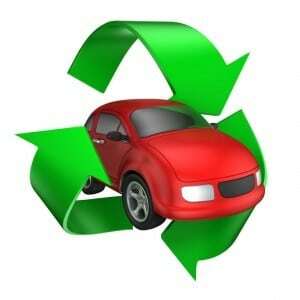 Vehicles are recycled into new steel and good parts out of the cars can be reused or recycled. Scrap cars are usually hauled to an automobile dismantler in the scrapyard where reusable parts are removed and resold. Some of the reusable items include parts like working batteries, tires, headlights, mirrors, starter motor, alternator, car accessories like GPS systems, radios, CD players, windshields etc. Once the parts are salvaged the car is placed in a crusher and then flattened into auto hulks. Call us on 0800224000 to scrap car now! A lot of people often think of a junkyard as a dump in the less pretty part of the Cities, where items that are no longer of use are sent to be destroyed. However, the truth is Cash for Car NZ offers a win-win situation for you and the scrapyard. You earn some money from something you no longer need, and the junkyard gets to recycle the vehicle so that it can be converted to raw materials such as steel to create new cars and other products. Plus, it is great for the environment as we no longer need to harness too much of the earth’s natural resources to create stuff we need. Auto recycling is a huge help to the economy. We help take old (usually more polluting automobiles) out of circulation and recycle the materials to be made into new vehicles or products. It’s much better for the environment and the economy to recycle the materials that go through the process of mining, refining, and manufacturing. So what are you waiting for? Grab that phone, call us now on 0800224000 and get a free quote.